The energy infrastructure all around the world is currently inflexible in the sense that it cannot react to peaks and troughs in consumer demand, leading to over-production of energy to cater for any eventuality. The introduction of micro-generation and a more mixed portfolio of energy generation will only increase the need for flexibility within the energy infrastructure. The Desimax project aims to explore future Smart Grid technologies that will provide this flexibility, drawing on expertise in electrical engineering within the project. Equally important, however, is the need to bridge the gap between consumers and generators of electricity by increasing the flow of information between the two, such that generators can better predict demand rather than simply react to it, and that consumers have a greater understanding of the impact of their behaviour on the energy infrastructure. Researchers of data modelling will aim to understand consumer behaviour and how it compares with the behaviour of other “similar” consumers: if “similar” groupings of customers can be defined, this will allow for better modelling of aggregate demands, will provide motivation for energy behaviour change for untypical customers, and will offer marketing opportunities. 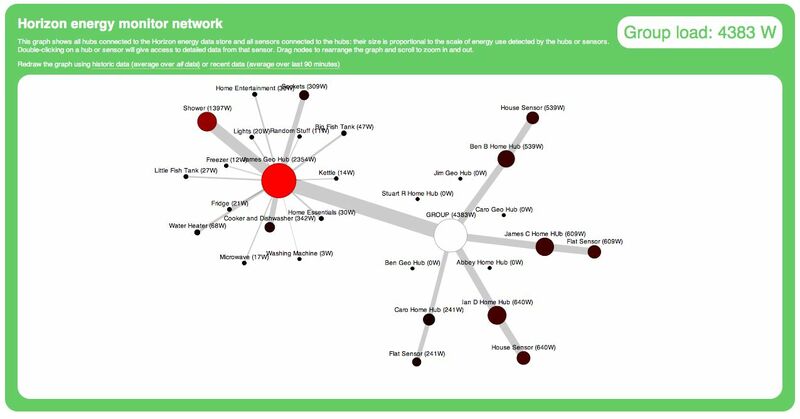 Other researchers with an understanding of human-computer interaction will explore how to present information about the energy infrastructure to consumers in ways that both engage and inform. Key outputs from this project will include the identification of future scenarios for more flexible national and international energy infrastructures as a way to engage with the public and with policy-makers on this topic.